Seniors Matt Capellupo, Paul Igel and AJ Rivera did not lose a match during their four years on the team. 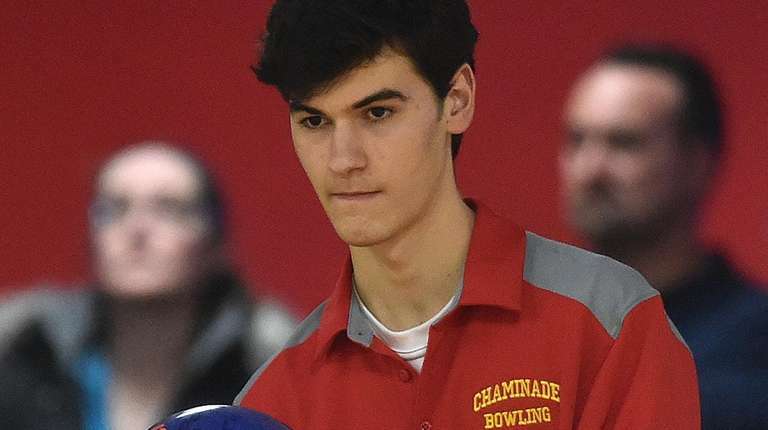 There are several different words that can be used to describe the success that the Chaminade boys bowling team has had in the last eight years. Winners, champions, unbeatable are all acceptable terms, but Flyers’ senior Matt Capellupo came up with something else. 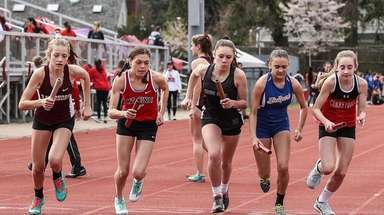 “It’s like a dynasty,” Capellupo said. 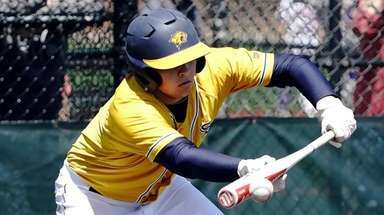 Capellupo helped lead Chaminade to its eighth consecutive Catholic League title by rolling a 253 in Game 3 of a 691 series, as the Flyers bested No. 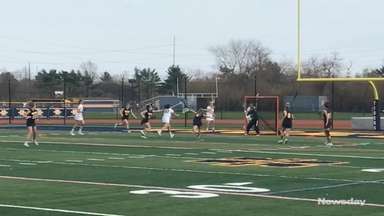 2 St. John the Baptist, 8-1, in the CHSAA final on Thursday at Wantagh Lanes. Chaminade compiled 3,879 pins and St. John the Baptist totaled 3,354. The Flyers (14-0) extended their win streak to 31 and haven’t been beaten in their last 64 matches. 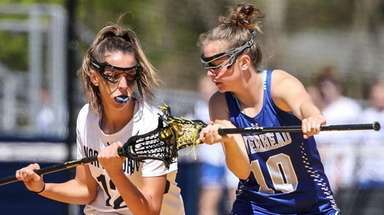 The last time they did not win was a tie with Kellenberg (3,393-3,393) on Jan. 24, 2017. 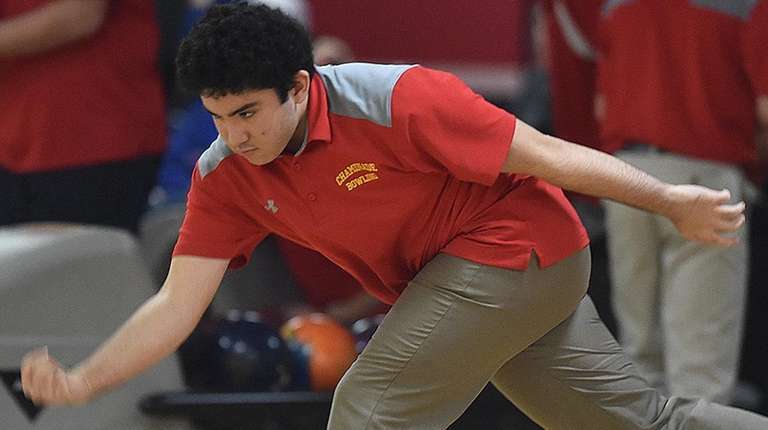 Junior Marcus Alaimo rolled the highest series of the match with a 708 and threw seven consecutive strikes to close out a 258 Game 1. The senior class of Capellupo, Paul Igel and AJ Rivera did not lose a match during their four years on the team. Rivera rolled a 246 in Game 2 of a 645 series, and junior Christian Freel threw a 256 in Game 1 of a 659 series. 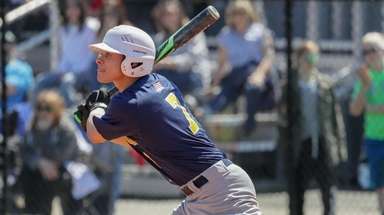 Matt Laraia led St. John the Baptist (11-4) with a 246 in Game 2 of a 646 series.